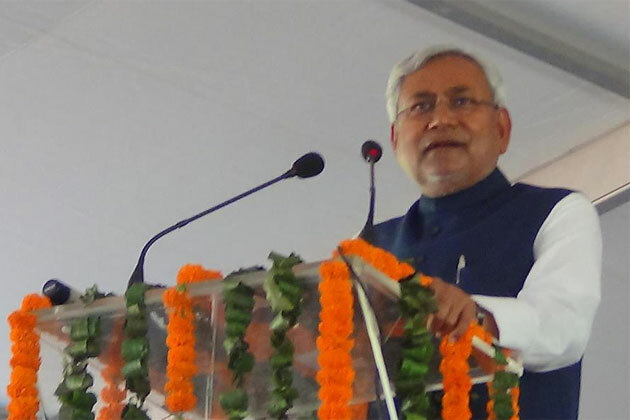 Bihar Chief Minister Nitish Kumar on Sunday inaugurated the famous 'Mithila Mahotsav' at Madhubani, about 180 km from the state capital, and flagged the need to ensure that Madhubani painting of the region remains alive and youth take them up. He also inaugurated 185 development schemes worth Rs 66.22 crore in the district and laid the foundation stones of various state government schemes worth Rs 246 crore. Expressing happiness about getting a chance to participate in the Mahotsav, Kumar said,"The development and welfare schemes inaugurated and launched on Sunday is a way to show respect to the culture of Mithila by the state government." He pointed out that the rich culture and Madhubani Painting of Mithila has been marked and discussed across the world. "There is a need to ensure that the art of Madhubani Painting remains alive here and new generation of boys and girls take them up. Our government is establishing Mithila Painting Institute, and all formalities for it have been completed," he said. Kumar said he had come to know about ancient site of Balirajgarh during his visit to Madhubani while he had undertaken Seva Yatra in his previous stint as the chief minister. It is spread over 122 acres and is considered among the biggest archaeological sites in the country. "My intuition says that the excavations at Balirajgarh being done by Archaeological Survey of India (ASI) will bring to light new chapters in the history of India," he added. 'Mithila Mahotsav' further so that it attracts tourists from everywhere. "Bihar attracted 2.14 crore domestic and 11 lakh foreign tourists in 2012. The numbers are increasing. Balirajgarh excavations and Mithila Painting Institute will further attract domestic and international tourists to this place. This will result in more employment opportunities here," Kumar added. Water Resources Minister Vijay Kumar Chaudhary, Tourism Minister Javed Iqbal Ansari, Mines and Geology Minister Ram Lakahan Ram Raman, Panchayati Raj Minister Vinod Prasad Yadav, as well as, various MLAs and MLCs from the area were present on the occasion.